AutoSport Catalog - Auto Accessories, Floor Mats, Seat Covers, Car Covers, & all weather floor mats. 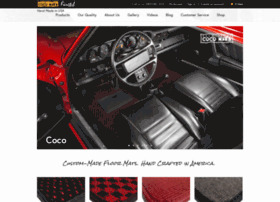 Floor Mats for Car, Truck, Van or SUV. Custom Made, Shipped for Free.